Emme turned 4 today! 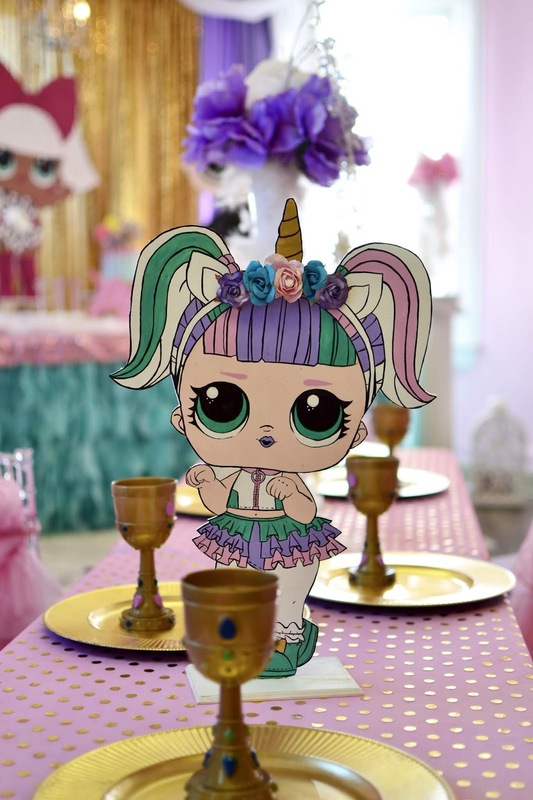 So, of course her party had to a LOL Surprise Doll Party and boy was she happy. She is obsessed with LOL Surprise (who isn't?)... low key I am pretty hooked myself. So I searched high and low for the best kids party place for the theme, I have to be honest the LOL theme sold me and I knew she would love it so I booked it immediately. Finding a place for kids party in New Jersey can be difficult but every year I end up finding super cute spots for the kids. 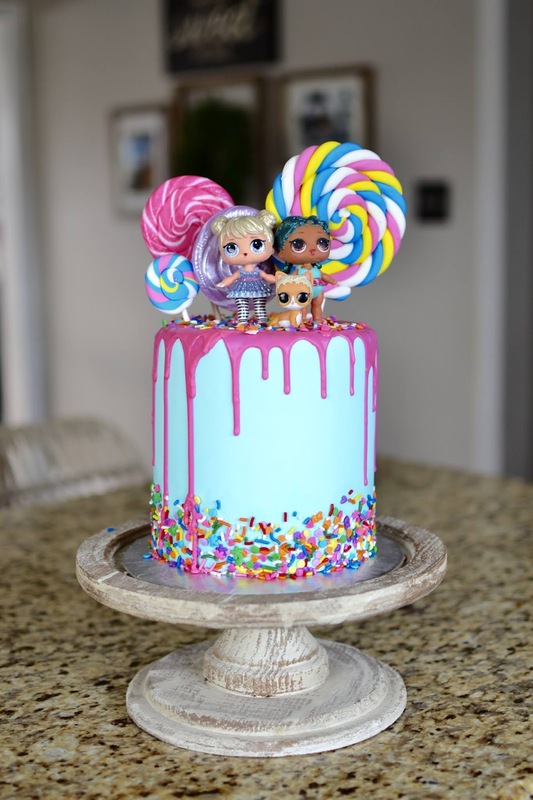 You guys requested all the deets so below you will find details on where I had the party, where I bought her outfit and of course photos of the cake! My sweet girl is growing up right before my eyes and this is my favorite age by far but still think time is going by too quickly. She's my last baby and I tried very hard to not cry this weekend. I am so grateful she is healthy, smart, happy and very very loved. Emme is truly the cherry on top in our home! Ok before I start to cry... without further a do, here are some pictures and details of her fabulous LOL Surprise Party. I hosted Emme's party at Princess Dreams in Roselle Park, New Jersey. From the moment I saw it (on a friend's instagram pic) I knew this would be the perfect place for my daughter's party. 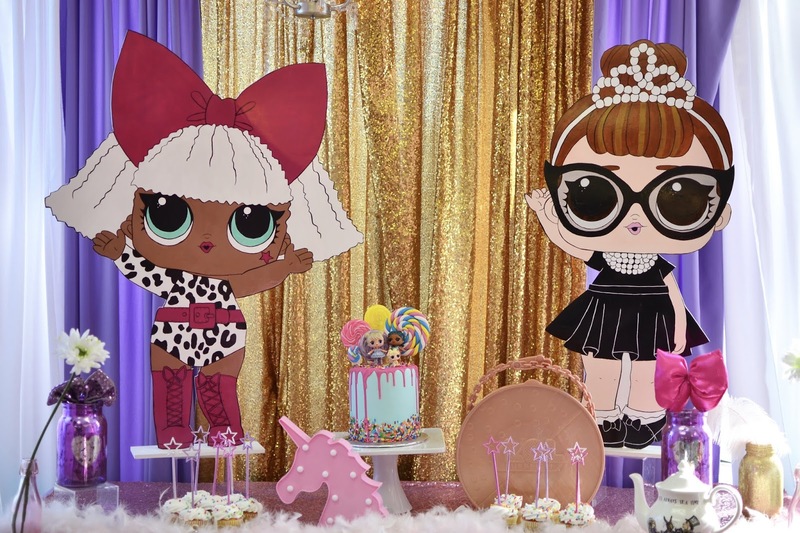 But then I saw that they had a fabulous LOL doll theme and I booked it immediately. What I loved best about Princess Dreams was that it was the least stressful party of my mommy life. 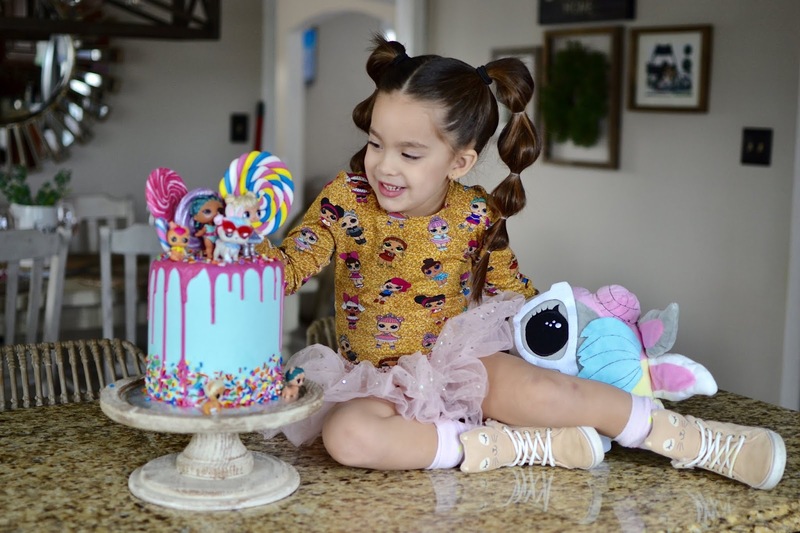 Their party packages include everything... from the cupcakes, pizza, juice, favors, dress up, makeup, craft, party hosts to all the decor you se on the pics. All I had to bring was food for the adults. It was such a stress-free party. I decided to have an all girls party (my son came of course) but you can have an unisex party, whatever you prefer they cater to both boys and girls. Finding a cute LOL doll outfit was hard, you guys! And I ended up purchasing her leotard on Belle Threads. 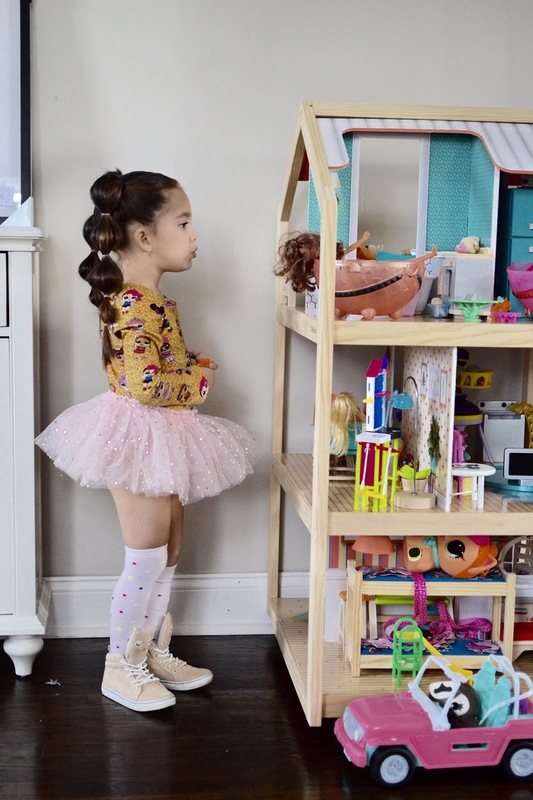 It was super cute and I love that she can use it over and over, even for ballet of course! She didn't wear it like this for her actual party. She wore it with a denim skirt but it ended up being covered up because during the party, the little girls got to dress up in costumes, so Emme was dressed up as an LOL doll:) The next day I got her all dressed again and did a mini photoshoot for memories and these are the pics you see here of her with the blush tutu. I found this cake idea/style on Pinterest and had a local girl that does all my cakes make it for me. This is actually a fake cake. Ever since Emme's peanut allergy diagnosis, I always get fake cakes for the kids' parties and truthfully I love it very year. It's easy, I can use for photos afterwards and it's safe. I don't trust bake shops and I am definitely not Betty Crocker. Emme had been dreaming (literally!) about her LOL party for months... not exaggerating. 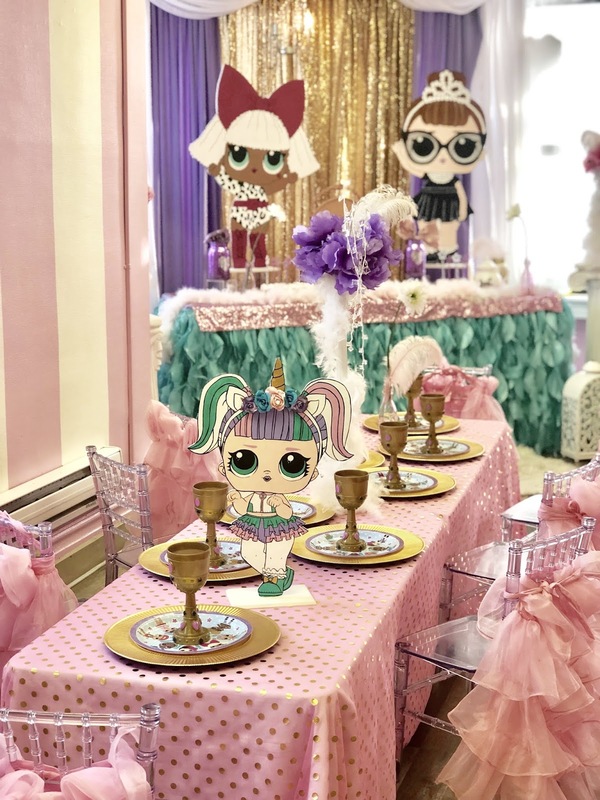 So I am so happy I was able to plan this sweet and super fun party for her. All the kids had such blast, they dressed up, danced, got their makeup done, did crafts... it truly was one to remember. I got so many compliments about the party from our guests and it made my mommy heart very happy to see my sweet girl happy. And today I am more than happy to share all the details with you! Have a great start to the week mamas! Oh and if you book a party at Princess Dreams, tell them I sent you! PS: This is not a sponsored post. I just love to share my favorite things with you guys. So pretty! 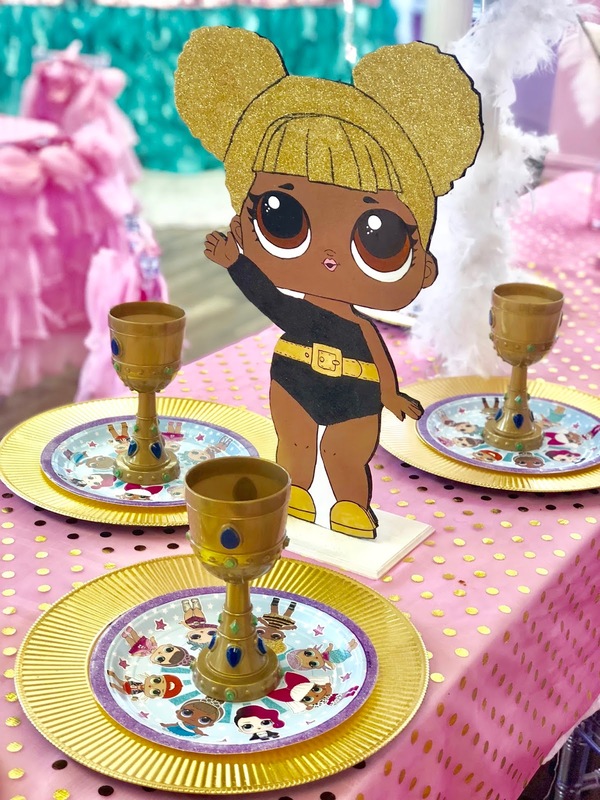 Where did you buy the LOL center pieces? Hi! Those were provided by the party place.